Yesterday at Ducktoes, we had quite the treat. 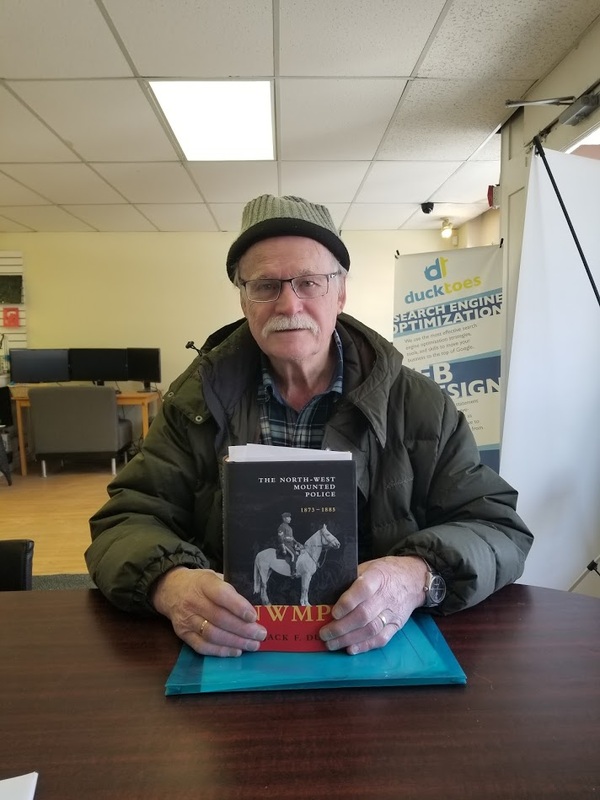 Calgary author Jack Dunn dropped by asked for computer help. The Globe and Mail was about to publish a review of his book, “The North-West Mounted Police 1873 -1885” and needed an image of the bookcover. Jack, not that much of a techie, asked for help. Glad to oblige, I found the image on his cd and sent it by email to the Globe and Mail reporter. His quite comprehensive book was based on research found in newspapers, diaries, and letters from those years. It contains previously 15 unpublished photos and illustrations among many others. Here’s a webpage from the Glenbow Museum showing his sources. If you need any kind of computer help stop by our website or computer shop. We also are well-known for our Calgary SEO services.